You must make reservations at least 5 minutes in advance of the time at Union Cafe. Public Parking garage located at Hubbard east of High St, less than 1 block away. We have a modern catering menu with items such as Tandoori Chicken Skewers, Flatbread, Crostini, Crispy Calamari Cups, and more. 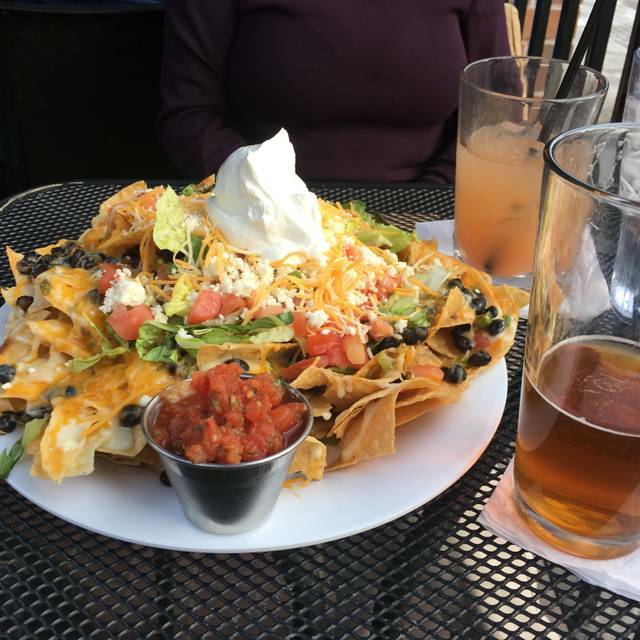 Union Cafe is a popular restaurant and bar lounge located in the heart of the Short North. Featuring Columbus' best patio, Union Cafe serves modern American cuisine from 3 chefs. Treat yourself to popularly priced dishes with excellent portions. Union Cafe is also known for having the best drinks in Columbus. Grande sized libations will leave you with a fun time. A visually arresting interior design complements our terrific service staff. Roam from the covered patio bar to the serpentine archway bar up to the candle light dining and back around to the amber glow dining lounge. Start your Mother’s Day with Union Cafe's Sunday brunch from 10a-2p! Our mile-long brunch buffet includes: Breakfast Pizza, Shrimp & Grits, Eggs Benedict, made-to-order Belgian Waffle and Omelette stations. Brunch drink specials include $5 Mimosas $8 Giant Mimosas and $5 Jumbo Bloody Marys. Start your Father's Day with Union Cafe's Sunday brunch from 10a-2p! Our mile-long brunch buffet includes: Breakfast Pizza, Shrimp & Grits, Eggs Benedict, made-to-order Belgian Waffle and Omelette stations. Brunch drink specials include $5 Mimosas $8 Giant Mimosas and $5 Jumbo Bloody Marys. Easter Brunch was fantastic. Hot, delicious food, great service, and great price! Will be back. 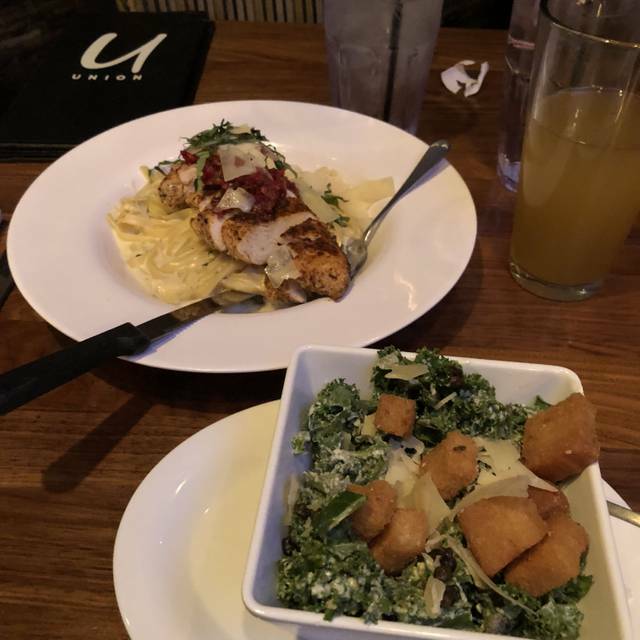 I always have a wonderful experience at Union Cafe! Was very pleasant, waiter was amazing. He really went above and beyond. Only complaint I have is the reason we decided to go was to watch RPDR and by the time it came on there were people standing everywhere and it ended up blocking our view. I understand it is a bar, just a bit frustrating and not what we were expecting. A disclaimer would have been nice. Went for brunch and ended up eating a late lunch.. The drag brunch show was fun but everybody on the patio waited for their food for upwards of two hours. Our reservation was for 11:30 and we didn’t get our food till 1:30ish. The party adjacent to us decided they’d had enough and left. Our waiter was very kind and apologetic, and I don’t blame him. The joint seemed understaffed/unprepared for having such an event and that’s a shame because every other aspect of the morning was amazing!!! The food was great, and the prices were fantastic. The show was entertaining and the place has really nice interior design. Hopefully next time they’ll have more cooks on staff. I would still recommend! Thanks for choosing Union! We hope to see you again soon! This is my second time at Union Cafe for brunch. The first time we came on Sunday and it was crazy busy and loud. But we figured it would be. In spite of that, there was excellent food, fabulous service, and very good drinks! The Bloody Mary Bar and breakfast buffet were some of the best I've ever had! I would happily recommend this place for SUNDAY brunch. This time we went on Saturday and it was a completely different experience. The place was not busy at all but the service was incredibly slow. The Bloody Mary's we ordered were bland even though we asked for extra spice. The food was pricey and although tasty, not all of it was worth the price. Overall, Union Cafe on Saturday for brunch was OK but if you go on Sunday, you'll LOVE their brunch! Kat was extremely patient with al 12 of us. She was professional and really looked after us and our needs. She was very knowledgeable about the drink and beverage menu and had great suggestions. There was no pressure from her and I never had an empty glass! Thank you for everything! Thanks, Julie! We can't wait to see you again! Good service and right price-quality combination. We think he's great, too! We're so happy he took great care of you! We hope to see you back again soon. We originally asked to be inside. However, when we got there, we really loved the patio. Nick G made this happen and we were very grateful. We would have certainly understood otherwise - but it made for a great day! Jose was our server and went over and above like always to give a us a great experience. Not only this visit - but anytime we have Jose - he is amazing. The food and drink was awesome and Candice as usual was walking around ensuring everyone was taken care of! Shout out to Brian for ensuring the top was put adjusted when the light rain started! Kudos Union Team! Thanks for leaving a review! We're so pleased that you find our menu to be a great value and look forward to seeing you again. Skyler was amazing as was all the staff at Union! We always have so much fun coming and socializing with friends! Managers Nick and Candice are truly wonderful! As a business owner myself, I appreciate great leadership! Thank you again - Everyone! Thank you for the kind words! Our staff loves seeing you and your friends and looks forward to each of your visits! Thanks for the kind words! We look forward to seeing you again! We're so happy to visited us! We hope to see you and your friends again soon! We're happy to hear that! Thanks for visiting; we hope to see you again soon! Ask for Jose or Triston! All staff have great personalities and are very professional! They have to work especially hard after 8:30'ish when the crowd gets much bigger for event nights. During those times, keep in mind you're at a BAR that provides good food. Thanks for leaving a great tip! We're so happy that our staff takes great care of you and look forward to seeing you again! As always, amazing food and great service. The drinks were superb and you guys rock! Thank you! We're so happy to hear you enjoy visiting us and look forward to your next visit! We think he's pretty great, too! Thanks for taking the time to leave a review. We look forward to seeing you again! Thanks for visiting! We hope to see you again soon! Fine Showtunes night as always. Continued to be impressed with their food. Loved the grilled cheese! Thanks for the kind words! We're so happy to hear you love Showtunes. We hope to see you again this Sunday night! We're so sorry that the temperature of your food wasn't to your liking. Should this ever happen in the future, please be sure to let your server/manager know and we will happily remake it for you! We're so happy to hear that you enjoed St. Patrick's Day with us! We hope to see you for showtunes again soon (and when you do come back on Sundays, all meters and permit streets are free to park every Sunday). Great food and the brunch is a great value. Service was a bit lacking. 15 min to get a drink after placing the order. We're so happy that you enjoyed your brunch, and we're sorry about the wait for drinks. St. Patrick's Day certainly increased the demand for drinks. We would love to have you back for brunch again soon to see how great our service can be! We were celebrating my sister’s birthday. The staff was accommodating and friendly. The food and drinks were great! Thanks for vitisiting - we hope that your sister had a great birthday! RuPauls Drag Race watch party. Our server, Nolan, was awesome! We're so glad to hear that Nolan took good care of you! We hope to see you for Drag Race next week! Always a great brunch and a great environment - thank you! Thanks, Carmen! We hope to see you for brunch again soon! Everything was great from the time we walked in, to the time we left. We will be back!! We can't wait to see you next time! As always great flirtinis, Jose our server was the best , food delicious and got a seat in the Fish Bowl as requested. Love the “U” ! We're so happy you enjoyyed your visit! We hope to see you again soon! Wait staff if friendly and prompt, good drinks great food and music enhances the overall experience. A great place for a meal before you explore Columbus ! Thanks for taking the time to leave feedback! We hope to see you again soon! Good food and great service, as always. I’ve never been disappointed here. Thank you for the kind words! We hope to see you again soon! The noise level was too much but everything else made it a wonderful experience. We're so happy you enjoyed your visit! We hope to see you back for a steak night again soon! It was our first time in Columbus and Union Cafe was recommended. Food and service was good! Only negative was that the drinks were not very good. We tried a variety of drinks (long island iced teas, moscow mule, old fashioned) and they were just not that good. The margarita was good, so probably recommend to keep it simple! 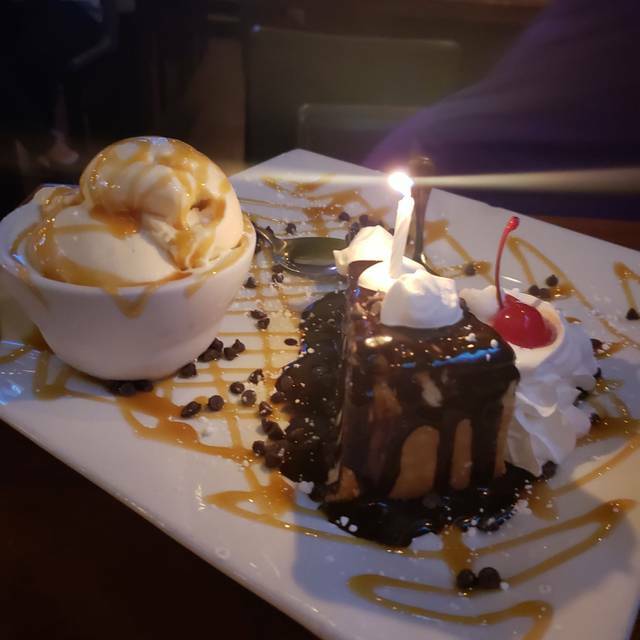 We're so pleased to hear that you enjoyed your food and service! Next time you're here, please let us know if you have a drink you're not enjoying - we're happy to swap it for something else! I would still recommend this place, although the host made us move from our table to another table in the middle of our dinner because they did not adequately book a larger party. Also, I've always thought the music is a little too loud for a dining experience. This isn't a night club specific to dancing. It's very hard to have a conversation over dinner and drinks without yelling and screaming over the music. Lower music would create a more inviting ambiance. We came in for dinner to watch the S11 premiere episode. It was very busy. It was tough to fit in our table. It was like they had crammed in another table. Also our server didn’t stop by for like 30 minutes so we had to chase someone down for our check. Thanks, Debra! 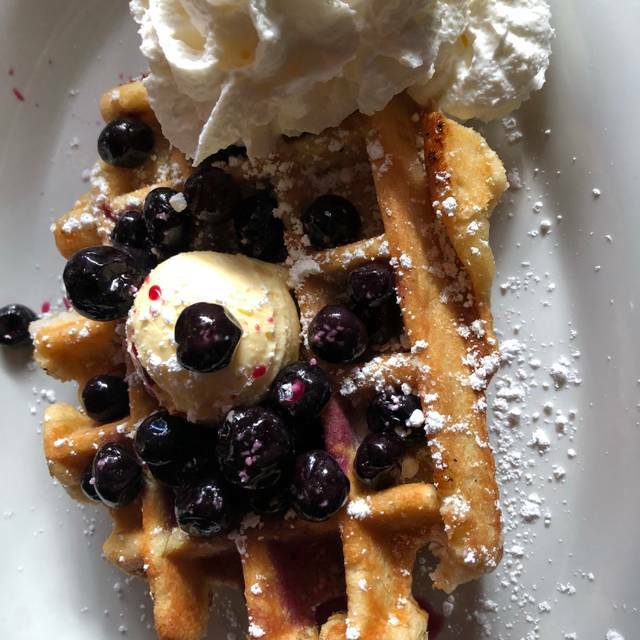 We hope to see you for brunch again soon! Was a great night out. Our server took along time to bring drinks.